Android is very popular because it provides Apps in many different fields. Sometimes we need to go out of station for some task or due to other reason we have to miss our favourite TV serial. But with help of Android TV apps we do not need to miss our serial. We can watch them at any time and anywhere. 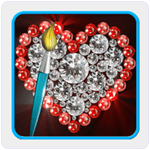 There are painting and drawing apps for android users as well. With the help of these apps we can easily draw different shapes, objects, animals and much more. We can also fill colors, add brush strokes, use color markers. It provide feeling as we really make painting or drawing on original canvas. We can also share our imagination on social media with our friends. We can also convert real images to drawings. We do not need to buy actual color, canvas and stationery for drawing. Drawing apps for Android make it possible on our smartphones. List Of Best Drawing Apps For Android. 4. How To Draw Easy Lessons. 5. Kids Doodle Color and Draw. 6. Paint Joy Color And Draw. 9. SketchBook Draw And Paint. 10. Drawing Desk Draw Paint Sketch. It is official Sketching drawing app by Sony. We can easily draw on a canvas with a pencil, markers and special brushes. We can import a picture and enhance it using stickers. We can also download more stickers. It also provide layer support to give special effects. It also provide zooming facility. We can use color picker to color the drawing and also select different shades of a color. Approximately 50 million users downloaded this app. 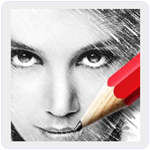 It is one of the best app which make us a professional artist to make sketches with pencil and brushes. We can easily import picture from gallery and capture it from camera to its sketch. It also provide option to import pictures from social media like Facebook. It provide 13 different types of black and white brush effects. We can also resize the sketch. 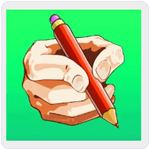 It provide water color, color pencils, blackboard and much more.Approximately 50 million users downloaded this app. It is an easy to use app which make us an artist quickly. We can create sketch of our pictures captured by camera or directly import from gallery. We can create both color and black in white sketch. We can also share our creativity on social media. 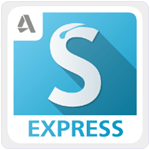 It also provide inbuilt image editor through which we can easily manipulate adjustments, filters, saturation etc. It has three sketch styles. Approximately 50 million users downloaded this app. It is an amazing in all drawing apps for android which act as a personal teacher to teach us. We can learn drawing many different types of objects from this app. Parents can use them to teach their children a drawing lesson. It starts drawing from few points to complete drawing. We can easily draw cartoon characters, cars, animals etc. Approximately 50 million users downloaded this app. 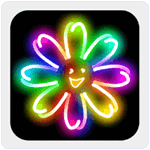 Kids Doodle is specially designed for kids with an easy to interface and attractive look. It provide 24 different types of brushes for painting and drawing. It also support a unique movie mode which present the kid’s artwork as a film. It’s built in gallery support both kids drawing pictures and drawing procedure. It also support both undo and redo. We can easily share our drawing pictures on Facebook. Approximately 50 million users downloaded this app. Paint Joy is a wonderful in all painting and drawing apps for android to free our thoughts and inner artist. With this app we have full control of brush styles, background color, brush size etc. It offer 20 different types of brushes for different styles. 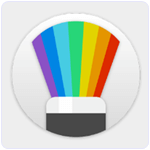 It also provide color picker and brush picker. We can pinch to zoom in and zoom out. This app has inbuilt gallery to save our picture and animation drawings. Approximately 10 million users downloaded this app. 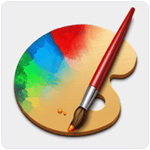 It is an Android Drawing and painting tool which is compatible with both Android tablets and phones. It provide multi touch navigation with 2500 % zoom. It provide three layer with opacity control. We can add text to current layer and import layer from the camera or gallery. It also has color wheel to fill color of different shades. We can easily share our art from the app easily. Approximately 10 million users downloaded this app. It is an amazing in all drawing apps for android. We can easily make animated wallpapers for our phone or photo frames, animated pictures etc. It is compatible with Android 2.3 or higher version. It is a light weight Android app with easy to use interface. We can create Animated Wallpaper and live images using this app. Approximately 5 million users downloaded this app. 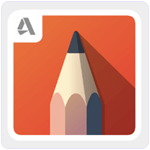 SketchBook draw is another popular Android painting and sketching app. It provide full surface area to work. It also provide 13 brushes with different sizes and color pencils. It allow zooming upto 2500 % so that we can draw at more closer view. It provide markers and color picker to make our drawing more realistic. It also provide multi layer working. Approximately 5 million users downloaded this app. 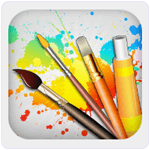 It is popular entertaining drawing apps for Android phone user. It is most famous among the kids because it is easy to use and light app with awesome graphics. It also provide social media support. 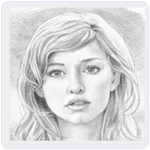 We can easily fetch photos from Facebook, Instagram etc and make their drawing easily. We can also show our creativity on social media. Approximately 1 million users downloaded this app. In conclusion, these are the best for Sketching, painting as well as drawing apps for Android smartphone. Tell us your thoughts and reviews in the comments below.